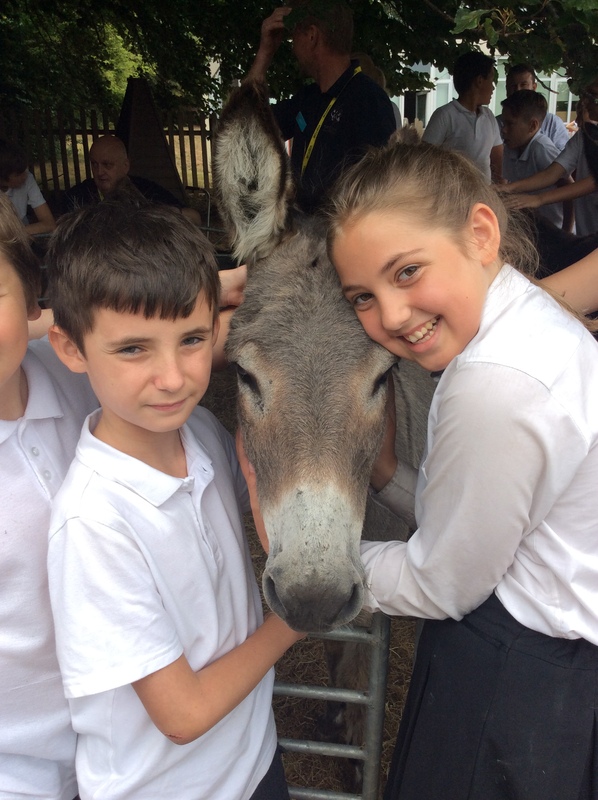 Children at Redhills Primary School in Exeter enjoyed a different kind of learning experience before their summer break with an educational visit from The Donkey Sanctuary. The highlight for children and staff was meeting Rupert and Zippo, two of the resident donkeys from The Donkey Sanctuary. The donkeys were brought into the school’s playground by their grooms Peter Pile and Alice Derryman who were on hand to answer any questions and to ensure they all got the chance to meet and connect with the donkeys. The visit was part of The Donkey Sanctuary’s education programme and is linked to personal, social, health and economic (PSHE) objectives for Key stage 1 and Key stage 2 primary school children. For the younger pupils this focusses on recognising the needs of living things and for children in Key stage 2 includes reflecting on moral, social and cultural issues, using imagination to understand the experiences of other people and animals. In addition to working directly with schools, The Donkey Sanctuary has created a number of free teaching resources which are available through the TES (Times Education Supplement) website. The resources are delivered in project based learning formats. They are designed to provide cross curricular learning which includes geography, art and design, design and technology, English and science. To date the ‘Animals, Plants and their Habitats’ series has had nearly 35,000 downloads.